I bought in. I did research. 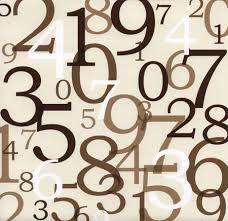 I studied numbers and related them to the players, while developing a deeper understanding of the game. All of the random numbers that took the place of a batting average, home runs, RBI, ERA, and wins in the evaluation in baseball stole my heart. Sabermetrics gave creative, number-crunching baseball fans a means to display defensive values, base running values, and even what a pitcher could do without that guy with stone hands playing shortstop. They even provided a way to determine how Roberto Clemente matches up to Vladimir Guerrero thanks to ballpark adjustments, allowing statistics to see what a player from the past could do today. All of that is great. Fine. Dandy, as my late grandpa would say. However, for every xFIP, FIP, wRC+, and OPS+, there is WAR – Wins Above Replacement. What is WAR exactly? Well, it’s funny that I ask myself such a question and then provide the answer. Offensive players – Take wRAA, UBR & wSB, and UZR (which express offensive, base running, and defensive value in runs above average) and add them together. Add in a positional adjustment, since some positions are tougher to play than others, and then convert the numbers so that they’re not based on league average, but on replacement level (which is the value a team would lose if they had to replace that player with a “replacement” player – a minor leaguer or someone from the waiver wire). Convert the run value to wins (10 runs = 1 win) and voila, finished! 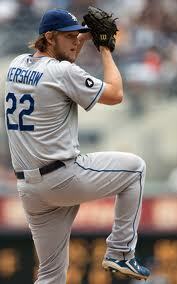 Pitchers – Where offensive WAR used wRAA and UZR, pitching WAR uses FIP. Based on how many innings a pitcher threw, FIP is turned into runs form, converted to represent value above replacement level, and is then converted from runs to wins. The first five measurements are all compared against league average, so a value of zero will equate to a league average player. Less than zero means worse than average and greater than zero better than average. These five correspond to the first half of our equation above (Player_runs - AvgPlayer_runs). The sixth factor is the second half of the equation (AvgPlayer_runs - ReplPlayer_runs). At its most basic level, our pitching WAR calculation requires only overall Runs Allowed (both earned and unearned) and Innings Pitched. Since we are trying to measure the value of the pitcher’s performance to his team, we start with this runs allowed and then from there adjust that number to put the runs into a more accurate context. Wins Above Replacement Player is Prospectus’ attempt at capturing a player’ total value. This means considering playing time, position, batting, baserunning, and defense for batters, and role, innings pitched, and quality of performance for pitchers. Perhaps no sabermetric theory is more abstract than that of the replacement-level player. Essentially, replacement-level players are of a caliber so low that they are always available in the minor leagues because the players are well below major-league average. Prospectus’ definition of replacement level contends that a team full of such players would win a little over 50 games. This is a notable increase in replacement level from previous editions of Wins Above Replacement Player. With so many different versions of player value calculations, how do you determine which one is most appropriate in truly determining player values? Even if you have a preference of which WAR or WARP system to use for your ranking or player value thought processing, why are you using it, but most importantly, why would a Major League Baseball team consider using WAR when discussing player contracts – now or in the future? Teams are getting surplus value out of the pre-arbitration and arbitration years of their team-controlled talent, prior to the players cashing in with the exorbitant figures that seem to be getting thrown around on the free agent or long-term extension markets. Clayton Kershaw‘s seven-year, $210 million deal was likely the stepping stone to several future $30 million or more average annual value (AAV) deals in the near future. Based on Kershaw’s 18.5 WAR (FanGraphs) over the last three seasons, he is the epitome of excellence on the mound – a modern day Sandy Koufax in the familiar Dodgers uniform…without the ice baths and elbow pains. You could assume that no pitcher currently in MLB is worth more than Kershaw due to his prolonged dominance, age, and market value , as the Dodgers seem to have an unlimited budget thanks to their TV deal, which allowed for such a record-breaking deal. With Kershaw locked up, the next generational talent name likely to receive an in-house extension within a major market would be Los Angeles Angels’ outfielder Mike Trout. Assuming Trout receives league-minimum salary for 2014 and arbitration awards of roughly 25 percent, 45 percent and 70 percent of his open market value from 2015-17 (superstars tend not to do as well on a percentage basis in arbitration as typical players do), ZiPS estimates $69 million as a fair offer to get Trout through his arbitration years. Then the fun begins. Even at 7.7 WAR (his 2018 projection as of now), if the value of one WAR increases at 5 percent from the $5.45 million I estimate that teams are paying for this in 2014, that’s enough to get Trout past the $50 million mark per season. So if we are estimating a 10-year deal, that gives us $69 million for his next four years, plus $312 million for the following six seasons (2018-23), for a total of $381 million over 10 years. 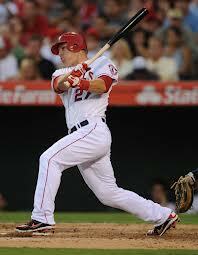 If Trout plays up to his elite level this season, the cost of signing him for 2018 through 2023 goes up substantially. While we originally calculated that time period to cost $312 million, it goes up to $335 million if he meets his 2014 projection. If he hits his new 2015 projection, that goes up again to $362 million before 2016. 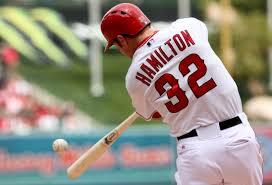 And if he continues to hit his mean projection for the 2017 season, that goes up to $395 million. In other words, if the Angels continued to go year-to-year with Trout and nothing terrible happens in the interim, the price to sign him just for 2018-2023 pops up by more than $80 million. The Angels could really use Mike Trout for the next decade, especially after locking up Albert Pujols and Josh Hamilton to long-term, lucrative deals, only to see them fail to live up to projections and expectations, but isn’t that the problem with projections? Teams may have access to unlimited amounts of data, the eyes of scouts, and brilliant baseball minds, but you can’t project injuries; otherwise, Chris Sale‘s left arm would have had a surgery or two on it by now, right? You can’t predict when a player declines a bit too early, as Prince Fielder proved at the age of 29, when he posted an .819 OPS in 2013, the lowest of his professional career, despite Miguel Cabrera‘s continued dominance around him in the Detroit Tigers lineup. 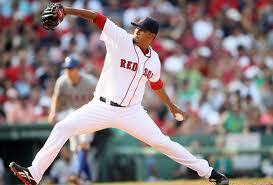 However, teams have long gambled on the skills of players in major sports. It’s why Kwame Brown was employed by seven NBA teams by the age of 30, and why Mark Mulder received a spring training invite after not throwing a pitch in MLB since 2008. Regardless, sabermetrics continue to influence the front offices across Major League Baseball, as teams continue to use data to develop a better understanding of player values. A lot of times, it seems that those player values, particularly within free agency, are founded upon those educated guesses that I consider gambles. Obviously, the general manager is spending someone else’s money so liberally in these situations, and the incoming revenues lead to a heavy squashing of a lot of the risks involved, but are players truly worth their WAR value? So if you’re the owner of an MLB franchise and you want to make your team one win better, you should expect to have to pay $7 million. Planning to bring in a league-average player? That’ll be $14 million. And if you’re willing to splurge to move up 10 games in the standings, you’d better be prepared to open your wallet to the tune of $70 million. Pollis’ research is much more thorough and includes a lot more information than previous win-value research, but if teams are actually spending $7 million per win from season to season, and that number is only going to increase with the infusion of more money through various media revenue streams, how will “small-market” teams improve or compete in the next few years if they are unable to sign a league-average player for less than $14 million per season? Suppose Josh Donaldson was a free agent after the 2013 season. He signs with the Houston Astros, replacing Matt Dominguez (who was worth 1.0 WAR in 2013), which would improve the Astros by approximately six wins, as Donaldson was a 7.7 WAR player in 2013. Based on the cost per win, it would take nearly $42 million per season to sign Donaldson, while improving the Astros from a horrific 51 win team to a horrific 57 win team. Meanwhile, Donaldson, who just turned 28 in December and has all of 996 plate appearances in the majors, becomes the highest paid player in baseball. Sure, this scenario isn’t playing out this winter because Donaldson isn’t and won’t be a free agent until 2019, but what is the value of win-values when you consider that teams aren’t going to pay players like Donaldson, coming off of a career season after spending five and a half years in the minors, like a superstar? Certainly, clubs bask in the glory of receiving superstar production from their players while they are being underpaid as pre-arbitration or arbitration-eligible major league roster-worthy talent, but is it fair to expect or anticipate clubs spending money based on their value when compared to replacement level talent? Not everyone in Major League Baseball is replacement level and the fact that WAR is a comparison of an average minor league player with major league talent seems insane. Of course Mike Trout has a 10 WAR when he has had two incredible seasons when compared to your average player – that number should be gigantic when compared to someone who loiters within the minor leagues for several years; however, saying that Josh Donaldson and his 7.7 WAR from 2013, was only worth 2.7 fewer wins than Trout seems kind of insane, as well. Defense and offensive numbers aside, how about a dose of reality? 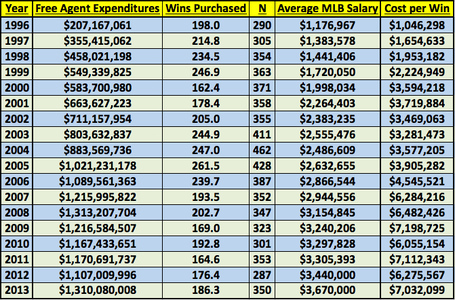 I love number crunching as much as the next guy, I even spent quite a bit of time trying to create my own value system over the winter, but the idea that WAR is tied to wins and those wins should be tied to free agent contracts, at least in the eyes of sabermetric gurus, seems horribly wrong. While the money may appear endless with all of the new media deals, there will come a point down the road that your mediocre, utility player could be earning $10 million per season – just because the money is there to warrant the contract. Is that good for baseball? Then, when baseball fails because it has become too big for its own britches, what will the gurus crunch for enjoyment? WAR is great and fun, and it is very creative…but it is flawed. Why else would there be three different theories that provide the same type of data, thanks to Baseball Reference, Baseball Prospectus, and FanGraphs? If the value of a player is based upon a statistic that can be skewed, molded, or shaped based on the philosophy of its creator, is it fair to use that statistic to determine the finances of the game? I don’t think so. Sabermetrics are great and they allow for a lot of debate, but a lot of that information has become just that…information. Data that can be manipulated like any other form of a statistic. 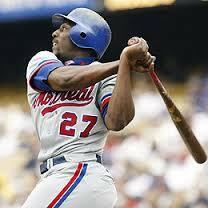 Vladimir Guerrero arrived in Major League Baseball for good on May 3, 1997, after having a cup of coffee in September of 1996, becoming an instant success for the Montreal Expos at the age of 22, posting an .833 OPS over his first 354 plate appearances, finishing sixth in the National League Rookie of the Year voting (Scott Rolen won the award that season). In 1998, Guerrero became a superstar, posting a .960 OPS and a 150 OPS+, the first of ten straight years with an OPS above .900 and eleven straight years with an OPS+ of 130 or higher. 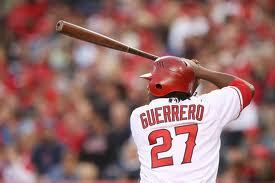 From 1998 through 2008, Guerrero was one of the top players in baseball, ranking 8th in baseball in WAR over those eleven seasons (53.5, courtesy of FanGraphs), ranking behind Hall of Fame worthy producers: Alex Rodriguez, Barry Bonds, Albert Pujols, Chipper Jones, Andruw Jones, Scott Rolen, and Derek Jeter. Guerrero made eight All-Star appearances, won seven Silver Slugger awards, and won the 2004 American League MVP, posting a .325/.392/.581 triple-slash (.972 OPS, 149 OPS+) while averaging 35 doubles, 35 home runs, and 112 RBI per season over those eleven seasons. The 2009 season seemed to bring the mid-30’s decline that is typical of many non-steroid using baseball players, as Guerrero’s final season with the Los Angeles Angels ended with a .794 OPS and a 107 OPS+ (both the lowest of his career to that point, outside of the 1996 September trial), although much of his sudden decline (Guerrero was 34 for the entire 2009 season) could be attributed to surgery on his right knee in late 2008, followed by two different stints on the disabled list (35 games due to a pectoral muscle strain and 21 games for a calf strain), which resulted in the weaker, end-of-season counting stats. Suddenly, Guerrero, who was a superstar for a decade prior to the 2009, injury-plagued season, was a free agent at the age of 35, and he was offered a one-year contract for the 2010 season with the Texas Rangers (with an option for the 2011 season) to be the club’s primary designated hitter. Guerrero, a star for such a long period of time, had to wait until January for his one-year deal from Texas, and the Rangers were rewarded for their $5.5 million deal, as Guerrero posted a .300/.345/.496 triple-slash (.841 OPS) with 27 doubles, 29 home runs, and 115 RBI, earning his ninth and final All-Star appearance and his eighth and final Silver Slugger, helping to lead the Rangers to the World Series, where they would lose to the San Francisco Giants in five games. 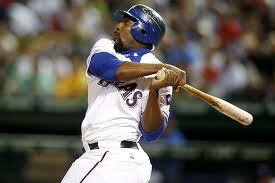 You would think that the Rangers would pick up Guerrero’s 2011 option, but that was not the case. His $9 million option was declined, Guerrero received a $1 million buyout and he headed to free agency, as the Rangers rolled with Michael Young and Mike Napoli as options at designated hitter in 2011. 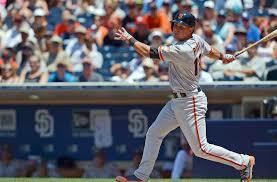 Guerrero would wait until February for a contract offer for 2011, inking a one-year, $8 million deal ($3 million of which was deferred) with the Baltimore Orioles. The 2011 season was quite a disappointment for Guerrero, as he posted a .733 OPS and a 98 OPS+ despite posting the highest contact rate since 2006 (82.1 percent). The ball just didn’t seem to drop right, or over the fence, as Guerrero finished with just 13 home runs and 63 RBI, and a career-low .126 ISO and 2.9 percent walk rate. While Guerrero’s production had slipped, was it worthy of resulting in his career ending? After not signing with a team over the winter, Guerrero eventually took a minor league deal with the Toronto Blue Jays on May 11, 2012, earning a prorated $1.3 million deal (based on time spent in the majors). Guerrero spent all of one month and 12 games in the minors for Toronto, posting a .358/.364/.679 triple-slash with three doubles, four home runs, 12 RBI, and a 2:0 K:BB in 55 plate appearances, before his ultimatum to be promoted resulted in his release. Guerrero’s production wasn’t enough to force Edwin Encarnacion (who was enjoying a breakout season that ended with a career-high .941 OPS and 42 home runs) to first base and Adam Lind (who had a nice 2013 but had a .729 OPS in 2012) to the bench. Since that point, Guerrero was rumored to be seeking employment, potentially with the independent Long Island Ducks, prior to announcing his retirement from baseball on September 13, 2013. Guerrero’s career was basically over at the age of 36, which is shocking when you consider that Jason Giambi was still rostered by both the Colorado Rockies and the Cleveland Indians in 2012 and 2013, actually receiving over 300 plate appearances, combined, at the age of 41 and 42. There aren’t many who were or are expecting Guerrero to have a Raul Ibanez-like aging renaissance period, but even with negative defensive value, he would seem to be a more appropriate designated hitter than the likes of Travis Hafner, Luke Scott, and Carlos Pena, all of whom failed to produce while receiving over 150 plate appearances in 2013. Looking at Guerrero’s resume, you’d think that he would warrant a look more than those players. 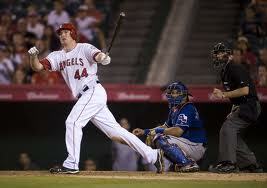 Perhaps it is the fact that he is a right-handed hitter and the others are left-handed bats? With so few players around Major League Baseball who are capable of reaching 25 to 30 home runs, someone with Guerrero’s ability to make contact and provide some right-handed power, even with the ugliest of swings, is worth something in the current swing and miss era of offensive production. Given a ballot logjam that among outfielders could include Raines (who would be in his 10th year of eligibility), Walker (seventh year), Barry Bonds and Sammy Sosa (both in their fifth year), Ken Griffey Jr. (if he doesn’t make it in on the first ballot in 2016), Luis Gonzalez (fourth year), Jim Edmonds (second year), Sheffield and Manny Ramirez (both also debuting) and more, Guerrero’s candidacy will have to battle for attention and space. Unlike many of the aforementioned, he has no known connection to performance-enhancing drugs, but like them, he put up his big numbers in an offense-happy era. 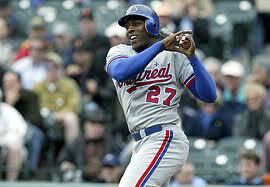 As Raines and Walker have shown, the Expos’ disappearance is no boon to a candidate. On the other hand, like previously elected Montreal predecessors Andre Dawson and Gary Carter, Guerrero played the second half of his career in a larger media market, which could make up for some of that. Ultimately, Guererro’s electrifying style went beyond sheer numbers, and I suspect he’ll build enough support among voters to attain his bronze plaque. As a player who made the hair on the back of peoples’ necks stand up, he won’t soon be forgotten. Based on Baseball Reference’s Similarity Scores, Guerrero was most similar to Jeff Bagwell, Larry Walker, Albert Pujols, and Todd Helton, as well as Hall of Fame players Jim Rice, Willie Stargell, Billy Williams, and Duke Snider. His career was full of seasons that were most similar to those of Willie Mays, Manny Ramirez, Snider, Gary Sheffield, and Rafael Palmeiro as he aged, which should make you wonder how there is any doubt whatsoever as to whether or not he should be enshrined in Cooperstown. As Jaffe mentioned, Guerrero was not linked to performance-enhancing drug use, but with the PED-era being shutout of the Hall of Fame by many within the Baseball Writers Association of America, it could take several ballots for Guerrero to be seriously considered. Jaffe is widely known for his JAWS system of ranking players. JAWS is described at Baseball-Reference.com, where the data is held and easily accessible, as a means to measure a player’s Hall of Fame worthiness by comparing him to the players at his position who are already enshrined, using advanced metrics to account for the wide variations in offensive levels that have occurred throughout the game’s history. I asked Jaffe a few questions in regards to his JAWS system and his thoughts on Guerrero when compared to similar players from his era, and how his body of work holds up comparatively. Can you give a little bit of background on JAWS and how you came up with it or why? How long did you work on it before it was perfected? Though it didn’t bear the name at the time, the system that became JAWS debuted at Baseball Prospectus in January 2004. The currency was BP’s Wins Above Replacement Player, and along with career WARP, I defined the peak as a player’s best five consecutive seasons, with allowances made for injuries and military service on a case-by-case basis. The JAWS name arrived in December 2004, as I looked at the 2005 ballot. By the time of the 2006 ballot, I had switched to defining peak as a player’s best seven seasons overall, which allowed for a more automated process (believe it or not, I hand-cranked the scores for all Hall of Famers in my first two years). For the 2013 ballot, I switched from BP’s WARP to Baseball-Reference.com’s version of Wins Above Replacement, in part because BP’s pre-1950 advanced stats remained unpublished, and in part because B-Ref’s Sean Forman agreed to feature it on his site, creating cool leaderboards and featuring the scores on every player page. Who could pass that up? I was thinking about Vladimir Guerrero recently and I went to see where he ranks all-time in JAWS and I was surprised to see that he was the 22nd ranked RF in baseball history. 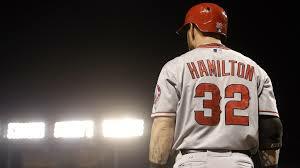 His career ended pretty abruptly, although there haven’t been many rumors of PED use in his case, he could be getting lumped in with the whole Steroid Era, just as Mike Piazza and Jeff Bagwell seem to be. A big surprise, to me at least, was that Larry Walker ranked 10th among RF all-time. Obviously, with a very crowded ballot, Walker saw his Hall of Fame vote drop from 21.6% in 2013 to 10.2% in 2014. With Randy Johnson, Pedro Martinez, John Smoltz, and the other holdovers, it looks like it could be some time before Walker gets the nod, and Guerrero is likely to join him on the ballot during that time…In my observations, Guerrero seemed like the better player, and I wasn’t sure if Walker’s production was aided by the thin air of the pre-humidor Coor’s Field. What is it, in JAWS or your opinion that separates these two players? Purely as a hitter, Vlad was slightly more productive, albeit over 1,029 more career plate appearances — that’s even after adjusting for park and league scoring environments. Having said that, Walker’s 21-point edge in on-base percentage made him a slightly more productive hitter on a rate basis even after the air is taken out of his stats. Meanwhile, Walker has a 43-run edge on the bases, a 27-run edge when it came to avoiding GIDPs (thanks to his speed and situational hitting ability) and an 87-run edge as a fielder. What’s more, while both generally played right field, which requires a −7.5 run per year positional adjustment, Vlad’s time as a DH requires a requires a −15 run per year adjustment. In all, the two were of comparable offensive value in their careers (62.2 oWAR for Walker, 59.0 oWAR for Vlad), but the former’s defensive value (dWAR) was +1.5 wins, the latter’s was −10.7, in other words about a 12-win difference. Guerrero is also behind Ichiro Suzuki and Bobby Abreu in JAWS. How much of a player’s value comes from defensive skills and base-running here? Well, it can differ greatly from player to player. Obviously, Vlad didn’t accumulate much positive value in those categories, while Abreu had some, and Ichiro had outstanding value there (+62 Rbase, +106 Rfield) but much less as a hitter (+119 Rbat). Is Vlad Guerrero a HOFer? 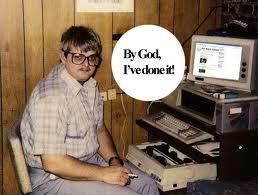 Larry Walker? Bobby Abreu? Ichiro? I believe both Ichiro and Walker are worthy of the Hall of Fame. I’m less sold on Vlad than I think the general electorate may be. I wouldn’t be surprised if he eventually gets in, nor would I be disappointed – at least unless Walker doesn’t get in, which appears to be the way things are heading. I’m just not going to be the guy who waves the flag for Vlad. Guerrero’s physical decline turned him into a part-time DH in his early 30s (208 games there from age 31-34, compared to 335 in the field) and a full-time DH by his mid-30s. Increasingly, we’ve seen fewer and fewer teams willing to roster such players because they tend to be high-salaried without contributing a whole lot. When you look at Vlad’s career, you can see that he was worth just 3.2 WAR over those final three years, that while making around $28 million. That’s not an acceptable return on investment for most teams, and in the drive towards rational spending, he became a victim. I’m not sure how much of his complete disappearance from the majors after his age 36 season owes to an unwillingness to accept a lower salary or a part-time role, but I’ll bet it was a big factor. Giambi, by comparison, has really embraced that role and become a managerial candidate. From the standpoint of being a Hall of Fame candidate, guys whose careers end in their mid-30’s face an uphill climb because their career totals are generally low. Vlad’s less so – 2,590 hits and 449 homers are Hall of Fame numbers if they come from an earlier era — but had he stuck around a couple more years in better health, 3,000 and 500 might have been attainable. As for Abreu, his defensive woes and declining power probably trimmed a couple of years off his career, too. Sadly, I don’t think he has an ice cube’s chance in hell of making the Hall because his plate discipline and speed were so under appreciated. 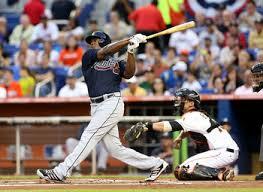 Despite a very similar oWAR/dWAR breakdown to Vlad (60.4/-10.6), he only made two All-Star teams to Guerrero’s nine! Jaffe’s explanation was very valuable in showing the differences between the players, and the fact that he took time out of his schedule to answer those questions for me was really cool for a lowly blogger like myself and it is much appreciated. Regardless, something that wasn’t factored into the questions or responses that is another useful statistic in detailing the differences between Walker and Guerrero, specifically, was the player’s OPS+ and wRC+, which factors in park effects. Walker finished with a career OPS+ of 141 and wRC+ of 140 and Guerrero finished with a career OPS+ of 140 and wRC+ of 136, another example of their offensive resemblances. Guerrero and Walker will remain similar in production comparisons due to their numbers not reaching the Hall of Fame lock-in plateaus of 3,000 hits and 500 home runs, and despite the defensive and base running differences, the two may be lumped together for several years on the ballot while the writers pick apart their resumes. 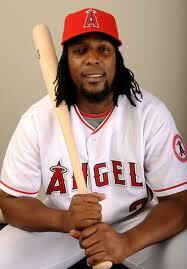 Vladimir Guerrero was a tremendous player who passed the eye-test of this blogger. While he didn’t have the counting stats of the juicers, he was certainly no less gifted and talented. So many superstars will be bypassed for Cooperstown enshrinement over the next decade due to the actions of others during their playing careers, and, just as Jaffe predicted, there will likely be a day when Larry Walker, Ichiro Suzuki, and Vladimir Guerrero are rewarded with their plaques by the required vote. When the baseball writers begin picking apart the numbers, I hope that they don’t continue to overlook just how special Guerrero was during his career peak, as we look back on a career that was magnificent for so long and faded off to retirement largely unnoticed by many. No team. No press conferences. A sad goodbye to a great player. Maybe this is an overreaction, but Arizona Diamondbacks GM Kevin Towers appears to be crippling the future of the team by making some strange trades. Certainly, Towers has many years of experience, holding the San Diego Padres GM position from 1995 through the 2009 season before being fired in October, then taking over in the desert in late September of 2010. As with any operational move completed by a baseball franchise, some will work and some won’t, but the last three major moves by Towers appear to be crumbling the foundation of long-term success for the Diamondbacks. 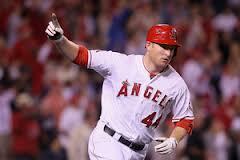 When the club acquired Mark Trumbo from the Los Angeles Angels last week, they added a powerful bat, but they also added a first baseman and designated hitter who will be playing the outfield, as current first baseman, Paul Goldschmidt, was already present and had an MVP-caliber season in 2013. The Diamondbacks first had to acquire an additional arm to trade to the Angels, and they did so by dealing Adam Eaton to the Chicago White Sox for left-handed starter Hector Santiago. Towers then packaged Santiago with 22-year-old prospect Tyler Skaggs, who was rated the No.10 prospect in baseball by MLB.com prior to the 2013 season, in the deal for Trumbo, while acquiring a couple of fringy players, outfielder Brandon Jacobs and right-handed pitcher A.J. Schugel, as players who were named later in the deal. Eaton, who turned 25 in early December, was listed as the Diamondbacks’ starting centerfielder prior to the deal, and he has been supplanted by A.J. Pollock, who turned 26 in early December and appears to have a lot of Drew Stubbs to his game (solid defender, good power and speed, and a lot of swing and miss). Eaton was highly regarded by many saber-guys for his .450 career minor league on-base percentage and .951 OPS, and giving him up for Santiago, a back-end rotation starter (along with his five years of team-control), to acquire Trumbo was odd, but then Towers moved Skaggs. While Skaggs was pretty terrible in a very difficult league for pitchers in 2013 (4.59 ERA, 1.47 WHIP), he managed to strikeout 9.3 batters per nine as a 21-year-old in Triple-A. 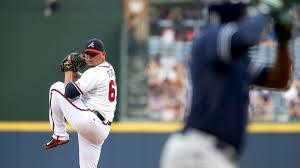 After watching Atlanta Braves right-hander Julio Teheran go from a 5.08 ERA and 1.44 WHIP as a 21-year-old in Triple-A in 2012 to 14-8 with a 3.20 ERA and 1.17 WHIP as a 22-year-old in the majors in 2013, could the Diamondbacks have just given up the arm that they appear to now covet in free agency, as they have been rumored to be interested in both Matt Garza and Masahiro Tanaka. Power may be in short supply around the league and you may never know how a prospect will turn out, but if Arizona had kept Skaggs and Eaton and signed Shin-Soo Choo, wouldn’t they be just as likely to contend? With power in such short supply, as Kevin Towers so boldly claimed after acquiring Trumbo, wouldn’t dealing Justin Upton and his team-friendly contract, along with third baseman Chris Johnson, to the Atlanta Braves for Martin Prado, Randall Delgado, Zeke Spruill, and minor leaguers Nick Ahmed and Brandon Drury have been considered a bad idea when using that philosophy? There were a lot of underlying issues that led to the Diamondbacks apparent “need” to deal Upton last off-season, but, considering the type of prospect that they just gave up to get a player with a career .768 OPS, shouldn’t Towers have aimed higher in dealing Upton, who has a career .830 OPS? Certainly, Martin Prado is a fine player and his versatility is very useful, but his bat doesn’t play all that well as a full-time third baseman, where he will be playing in 2014, and heading into his age-30 season, it is fair to wonder if he should have been the centerpiece in an Upton deal, especially as Upton enters his age-26 season in 2014, making him younger than even Trumbo! If power is so valuable, why would Upton not be worth a legitimate prospect and a player, considering his contract and disregarding whatever “issues” were making him so useless to Arizona? Furthermore, the trade that sent Matt Albers, Trevor Bauer, and Bryan Shaw to the Cleveland Indians for Lars Anderson (designated for assignment on 1/24/2013), Tony Sipp (designated for assignment on 11/20/2013), and Didi Gregorius is just as questionable as the package that is highlighted by Skaggs. Bauer was rated as the No.14 prospect in baseball by Baseball America prior to the 2013 season and the Diamondbacks seemed to sour on him due to his desire to train and prepare in a way that is strange to nearly all people who have had the pleasure of viewing him, with long-tossing from foul pole to foul pole and a crow hop seed from the pitchers mound to the catcher as his first warm-up pitch being a part of his hour long pitching preparation. Still, at just 23 on Opening Day of 2014, his long-term outlook is very good and drafting Bauer 3rd overall in the 2011 MLB Draft and dealing him nearly 18 months later for a slap-hitting, defensive-minded shortstop seems very odd, even with defensive metrics and shortstop values being taken into consideration. When looking at the value that the Indians received in Shaw and Albers, along with the fact that the Diamondbacks no longer roster two players that they received in the deal, this was a steal by the Cleveland Indians…and that is all before looking at how Gregorius may lose the everyday shortstop job to a prospect who was in house when the Bauer deal happened, Chris Owings, since Aaron Hill won’t be giving up the second base job. 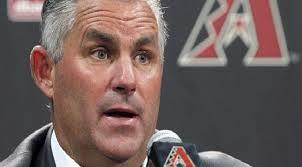 Diamondbacks’ GM Kevin Towers – answering serious questions? It is easy to question the style that a franchise is taking and it is even easier to say that you could make better deals than your favorite team’s general manager, but when you consider the recent track record of Kevin Towers in Arizona, most fantasy baseball managers agree – they could do a better job. Is Arizona now the New York Yankees of the west, trading all of their top minor league talent to fill their major league holes? Well, the Yankees never seemed to give away their top prospects without certain, immediate help. 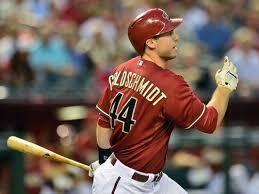 Can the Diamondbacks catch the Dodgers? Matching power with Los Angeles doesn’t seem to be an option, as a full season of Matt Kemp (if he isn’t traded), Yasiel Puig, Adrian Gonzalez, and others will likely make the Dodgers that much more dangerous, and Arizona doesn’t have enough “grit” to overcome the L.A. payroll and talent – especially when they are trading the pieces that could get them over the top for veterans who have shown what they can do. Trumbo and Prado aren’t winning the Diamondbacks any championships, and, while they will make Arizona a bit more competitive, it is the front-line, affordable pitching that would have helped the Diamondbacks slither into contention. Kevin Towers doesn’t seem to have a clear philosophy of where he is taking the Diamondbacks, and if the moves that he has made this season don’t work out, it is fair to wonder if he can make intelligent decisions going forward for any organization, experience be damned.